Why should you take time in grooming a dog? A pet cannot take care of itself without a human. New pet owners are often faced with worries about how they can survive handling their pets. Grooming is one of the issues that dog owners face. Dog grooming is considered a waste of time by some owners which is the reason dog salons have been established. Professional grooming homes or salons will help you take care of your dog. However, grooming should be a regular care on any animal in your care. There are benefits that are associated in the regular grooming of pets. The dogs' health is improved when grooming is regularly carried on them. 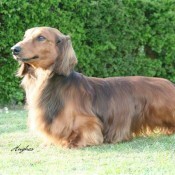 The vitality of the skin of the dogs and their health is encouraged when they are brushed. Brushing is known to stimulate the blood cells to produce oxygen that the animals need through their bloodstream. Bathing a dog will clear toxins just like brushing does to them.